Lectus: Do you know someone who’s been wrongly convicted? This is a great post, I’m glad that it was brought to everyone’s attention. Starting Saturday, when I post my review, I’ll be starting a Rafflecopter giveaway of Carrie Daws Book–Crossing Values. I’ll keep you updated. Laura’s Amish faith requires her to forgive, but she can only think of revenge. Laura Stutzman leaves her Kentucky community for Middlefield, Ohio, with one purpose: to find Mark King, the man who pledged his love to her, then left. She can’t move on with her life until he explains why. Sawyer Thompson wasn’t born Amish, but has lived in their community for years. Now he must commit to the Amish church or return to the Yankee world. Having suffered loss at a young age, he understands Laura’s anger, but is determined to follow God’s will and forgive. As their friendship grows, Laura begins to let her guard down. But new information surfaces about Sawyer’s past and threatens the couple’s budding relationship. Both Laura and Sawyer will need to release the anger in their hearts and forgive the people who’ve harmed them. As Laura struggles to trust God, can Sawyer remain faithful to Laura? I liked this book. It wasn’t the best that I had ever read, but the characters were all likable. I got to know them in the first book in the series Treasuring Emma. Things finally work out for everyone in this book. Everyone ties up their loose ends from the first book. I hope that Kathleen writes another story in this series, I want to know what happens with Laura and Sawyer and would like to know more a Katherine. She seems to be a likable character. I like how everyone forgave everyone in this story. If everyone were more like the Amish in doing this, the world would be a better place. Also when faced with the possiblity of having lots of money and power at his disposal, Sawyer makes a lifechanging decision and I think he made the right one. He finds out that his real grandmother is alive and when she finds out about his she wants him back. He does give her a chance. I give this book five stars and recommend it. Kathleen Fuller is an excellent author. I got my copy from BookSneeze. 1950 Tennessee, a time and place that straddles the past and present. Ivorie Walker is considered an old maid by the town (though she’s only in her early thirties) and she takes that label with good humor and a grain of salt. Ever since her parents passed away, she has hidden her loneliness behind a fierce independence and a claim of not needing anyone. But her mother’s death hit her harder than anyone suspects and Ivorie wonders if she will be alone forever. When she realizes that someone has been stealing vegetables from her garden—a feral, dirty-faced boy who disappears into the hills—something about him haunts Ivorie. She can’t imagine what would make him desperate enough to steal and eat from her garden. But what she truly can’t imagine is what the boy faces, each day and night, in the filthy lean-to hut miles up in the hills. Who is he? How did he come to live in the hills? Where did he come from? And, more importantly, can she save him? As Ivorie steps out of her comfort zone to uncover the answers, she unleashes a firestorm in the town—a community that would rather let secrets stay secret. The Good Dream is Donna VanLiere is at her absolute best. Wow, that is about all I can say. This book was excellent. Donna VanLiere at her best. This book will break your heart and make you smile at the same time. Ivorie is a woman to be admired. She does what most people would not do. And she doesn’t think twice about it. The relationship she forges with Peter is so sweet. I know this book will stay with me for a long time to come. Thank you Donna VanLiere, the world needs more books like this. Donna VanLiere is a USA Today and New York Times Best-selling author. She is the author of the other amazing stories Christmas Shoes and The Christmas Blessing, which have been made into movies. Donna lives in Franklin, TN with her husband and three children. Welocome to the Book Blogger Hop! 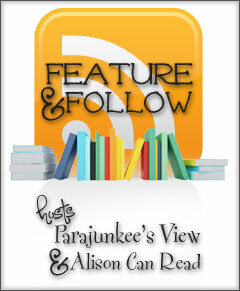 Connecting book bloggers and readers every week. Highlight one of your favorite reviews from the past month! 2. Enter the link to your post in the linky list below (enter your Blog Name, Genre you review, and direct link to your post answering this week’s question; failure to do so will result in removal of your link). 3. Visit other blogs in the list, spending quality time getting to know the people you are visiting. Don’t just visit the post with the question, but click around and read some of the blogger’s other content, too! This Hop isn’t about the number of people you can visit, but the quality of each visit. Readers – find a new blog to read by clicking through the links in the list! Click the box to find the list. Q. What hyped up book do think was not worth all the talk? I would probably have to say Fifty Shades of Gray, even though I never plan on reading it. Lara Spencer on Goodmorning America talks about this book all the time. I don’t think this is a good thing to promote. I thought this book was really good. I like how Kathleen protrayed the characters, showing how they struggle, just like normal people. You wouldn’t think that what happened in this book, could happen in an Amish community, but I’m sure it does. I’m not going to give any spoilers, you need to read it to find out what happens, but I say good job Kathleen. This was an excellent book. Now I’m reading Faithful to Laura. Lectus: Do you know someone who's been wrongly convicted?